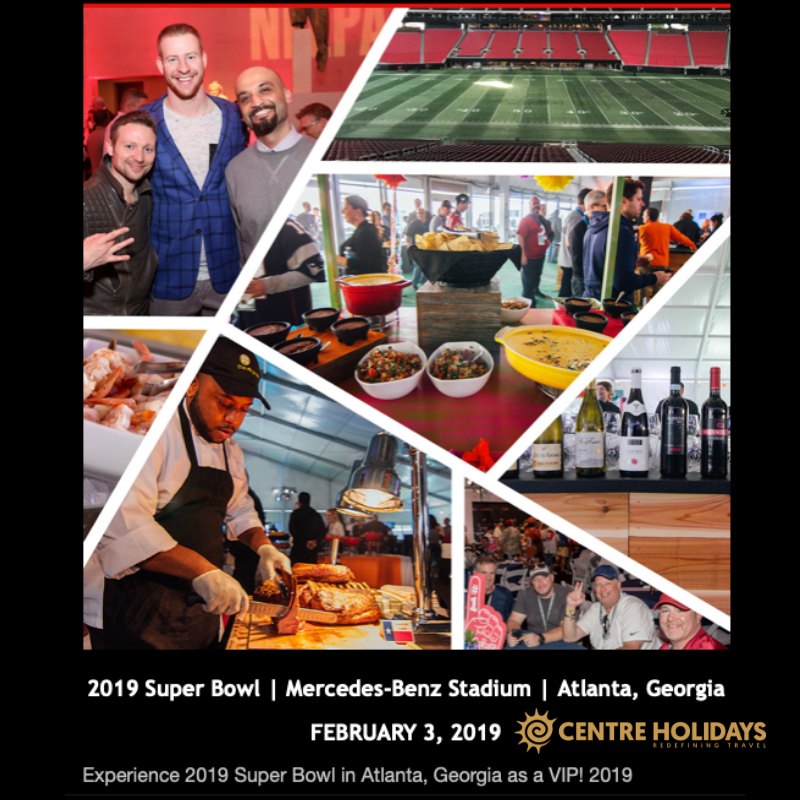 Be in Atlanta for 2019 Super Bowl with Centre Holidays! Get the best seats in the stadium and exclusive access to Legends Club hospitality, complete with premium food and beverage. Plus, enjoy in-game club lounge access! ▪ Super Bowl Ticket – Each ticket package includes access to the Legends Club before and after the Super Bowl. Contact us today for more information or if you would like to book this EXCLUSIVE “Bucket List Travel” EXPERIENCE! !